Add To Wish List Shipping only available in the United States. The Golfer Silhouette Signagraph measures 16" x 25" and is constructed of 100% cotton. 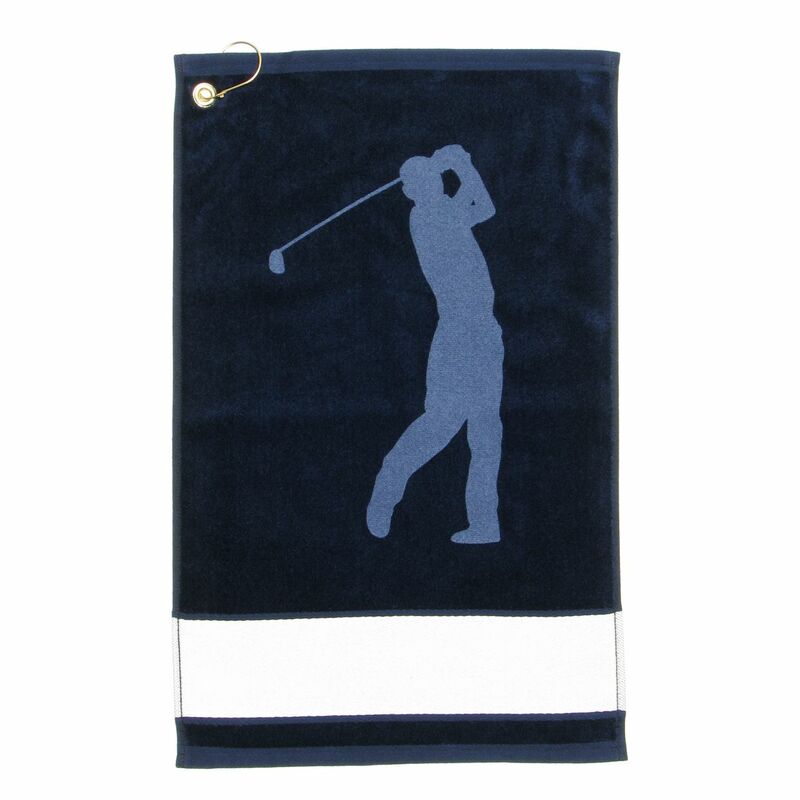 The towel features a Brass Lock Clip™ and a printed golfer silhouette image. The bottom banner can be personalized up to 25 characters. The towel is very good quality and the shipping was quick.